The smartphone focused Internet of Things ends up being somewhat huger with each passing second. This is on account of people are indicating enthusiasm for the technology and buying it to make their life easier. In any case, with IoT, organizations can also make themselves several steps further in terms of speed, precision, controllability, remote-operability, productivity, etc. In fact, IoT has begun to get the consideration of people for both personal and business applications. When we discuss IoT, we, in fact, talk about creating a wireless network between devices, acquiring information from them and then taking actions. The system encourages us in interacting with things and controlling them remotely, even from remote locations. This system can be made for home appliances, connected vehicles and several other things which can be controlled, and managed through embedded software, sensors, electronics actuators, and the other type of connectivity. Connections between devices and the user-end applications depend on the exchange of information wirelessly. So, IoT-enabled devices can communicate wirelessly. There are basic cases in which we can make things controllable remotely, through a mobile phone, with the help of technology. When we do this, we utilize sensors, software, and remote system and, then we make IoT. Similarly, there is a huge number of useful business cases in which the technology of IoT can make things easier. Agriculture: Agriculture has long been an organized segment. There is little almost no technology used to keep the strength of crop up. However, now numerous organizations are thinking of the intriguing IoT techniques purposely designed and created for agriculture practices. At the essential level, IoT can help farmers effectively decide the soil moisture, limit, controlling water usage and choosing the best fertilizer solution. eCommerce: Organizations in the eCommerce industry have now understood that how they can deliver a better shopping experience to their customers. IoT can enable customers to create more income. It enables them to effortlessly differentiate them from competitors. eCommerce businesses use IoT to get insights about products popular on social media. These stores can also use IoT in inventory management, logistics management, etc. Healthcare: There are boundless use cases of IoT in the healthcare segment. It can profit patients, families, doctors, and other staff. We can see a rapidly growing market of IoT based healthcare apps ranging from remote patient monitoring checking to medication adherence and lot more. 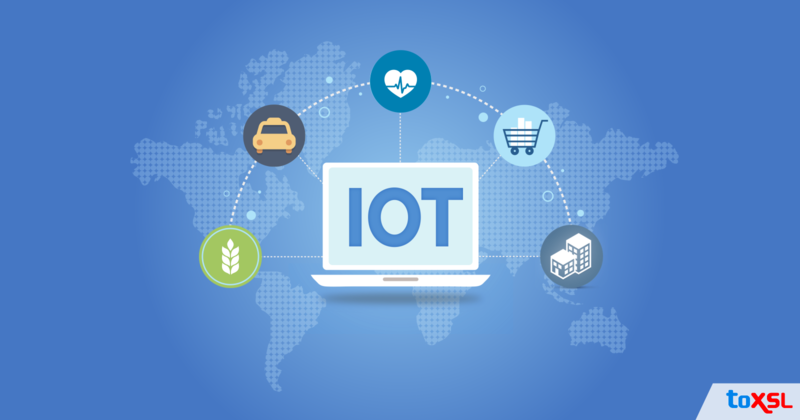 Enterprises: IoT has provided enterprises with an approach to connect employees, systems and other things and get more out of every operation. IoT based enterprises enable organizations to boost their efficiency and chop down operational expenses. Transportation: The transportation industry has spotted IoT as a technology made for them only. They can track things remotely, monitor how goods are being transported, and keep an eye on drivers and vehicles, their speed, and a lot more. IoT solutions in the space generally incorporate having sensors put on hardware in factories with the goal that information can be gathered about the performance of the machine and systems. This empowers factory operators to not just see when a bit of hardware may need to be repaired, however, it additionally gives knowledge on the best way to make the whole system work more productively.